VONNE is the regional support body for the North East Voluntary, Community and Social Enterprise (VCSE) Sector. We represent over 1000 member charities, voluntary organisations, community groups, networks and social enterprises from across the region with further reach through our many networks. VONNE's vision is that charities, voluntary and community groups and social enterprises make a distinct and sustained contribution to the economic and social development of the North East of England. To support the development and sustainability of a strong, effective and well governed VCSE and promote engagement, involvement and collaboration with the sector as a valued partner. To be the expert source of knowledge and intelligence on the sector in the North East. To be a source of information to the sector on issues and opportunities that impact on it. To raise the North East sector profile and be a leading voice for it. To support external stakeholders to effectively engage and collaborate with the sector. To support the sector to be effective, ambitious and enterprising. VONNE also aims to be an effective and sustainable organisation. VONNE is a registered charity (registered number 1084083) and a company limited by guarantee (registered number 04061592). VONNE is VAT registered (number 194251990). VONNE is proud to be an accredited Living Wage employer. This means that every member of staff in our organisation earns not just the minimum wage but the Living Wage, an hourly rate set independently and updated annually based on the cost living in the UK. 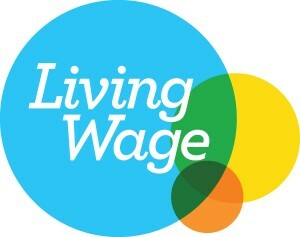 We believe that every member of staff deserves a Living Wage. VONNE is proud to be a Disability Confident Committed employer. Disability Confident works with employers to ensure that disabled people and those with long term health conditions have the opportunities to fulfil their potential and realise their aspirations.